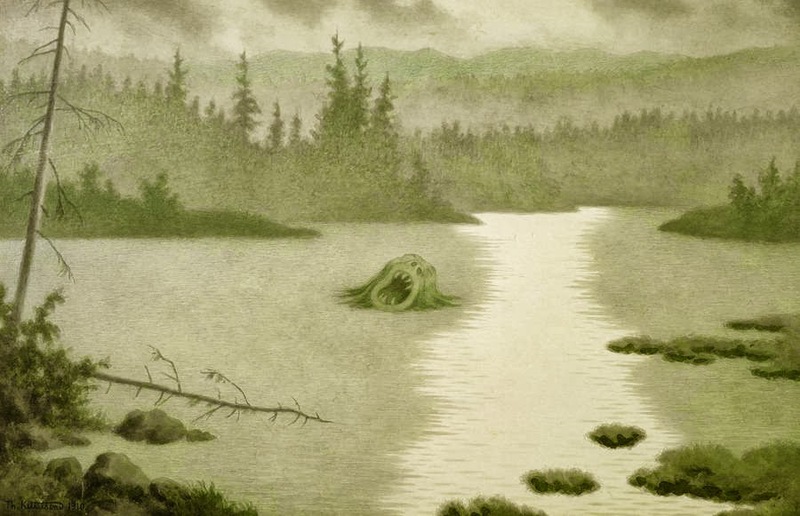 Legends of the North: "He preys on human lives, lurking beneath the waters..."
"He preys on human lives, lurking beneath the waters..."
Many years ago by the river Gudsbransvågen, there was a flood and the bridge was destroyed in the great waters. After that, travellers used a ferry whenever there was a need to cross the river – sometimes it was also possible to wade across, when waters were low and the river was silent. Not long ago after the flood, a cry was heard, terrible and shrieking: “The time has come!” The day after, a man was found dead on his back, drowned in the river – and where he was found, the river was so shallow, that the knees barely touched the waters. 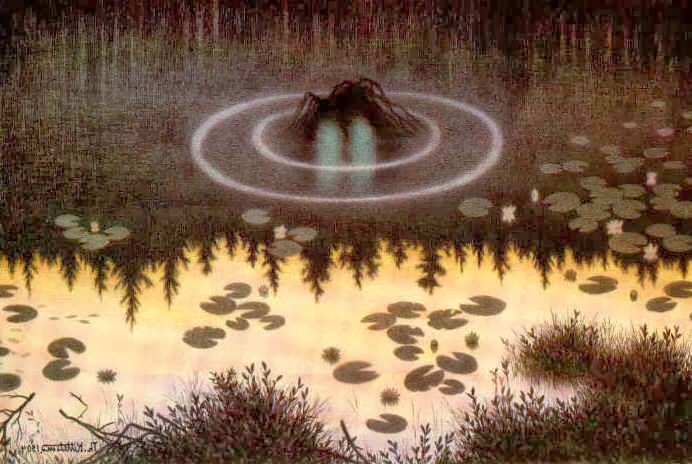 In Norwegian folklore, nature and its elements symbolize a strong and independent nature, water perhaps being one of these that stand out the most. The ocean, lakes and ponds represents a parallel realm where the absence of the human being is striking; it is dark, it’s stagnant and disappears into an abyss. Especially after sunset it was dangerous to move near dark and quiet waters; here lived a creature called the neck, or nøkken, a cunning and dangerous water demon who were lying there lurking under the waters. "Annually, nøkken will require a man as sacrifice. When someone is going to drown, the sound of nøkken can often be heard; it is a hollow and terrifying scream, which in many ways can resemble the voice of a man, wailing and whining, in the last seconds of his life." "He’s lying there, lurking underneath the cool, dark waters. You reach out your hand. Hardly have you touched him, before he pulls you in with his wet, slimy hands. You may sit by yourself alone down by the lakeside one evening... where memories awake, one by one – memories with color and brightness. Then be aware! It is the neck, playing his lethal game." It is important to remember that many lives were lost in accidents and suicide out in the woods – for many hundreds of years it was therefore natural to interpret nøkken as the personification of the treacherous and dangerous waters. In many ways this image can still be viewed as an embodiment of human fear, the very helplessness which we dread and try our best to avoid. Heiemo sang her poem, the hillsides sang back. Steer my ship to the Christian land! you shall sleep in the arms of the water spirit.